"If it's hard to boycott Israel, it's also risky to invest in it"
Total has just announced that it will not invest in the Leviathan gas field. Other French companies have been faced with the difficulties of investing in Israeli territory, says Jean-Michel Bezat, economic journalist at "The World". The reaction was quick. Hardly had the CEO of Total told the Financial Times his refusal to invest in Israel that he was angering Tel Aviv. "We like complex situations to a certain extent," said Patrick Pouyanné, Sunday, February 10, to the financial daily. The gas stake is not important enough, in his eyes, to run the associated risks in a region where the rejection, or even the negation, of the Jewish state is one of the geopolitical fundamentals. "This is a lamentable position , " said Israeli energy minister Yuval Steinitz, saying "it is totally unacceptable to boycott" Israel. The object of the dispute is called "Leviathan", a huge gas field discovered in 2010 130 kilometers off the coast of Israel. It is expected to come into production this year to supply Israel, but also Egypt, under a contract of $ 15 billion (13.2 billion euros) signed in February 2018 and described as "historic" by Tel -Aviv. 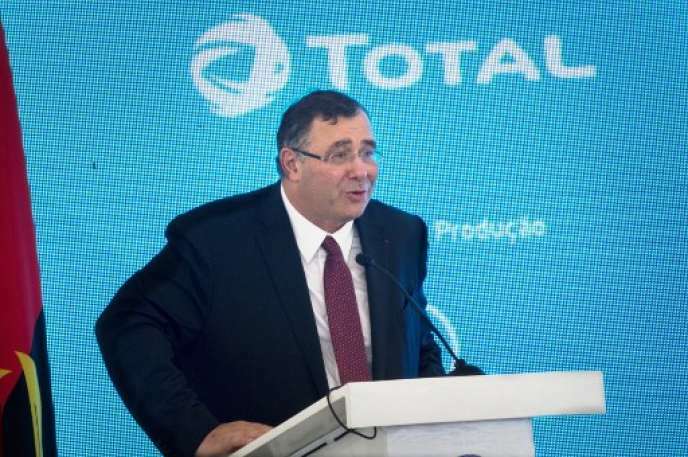 If the boss of Total is cautious, it is because he took the lead of a consortium with the Italian Eni and Russian Novatek to explore a deposit in Lebanese waters, a few hundred kilometers to the north. However, Lebanon and Israel have a serious dispute over their maritime border, where gas would also be found. But that's not all. Steinitz said any company refusing to invest in Israel would in fact bend to Iran's "tyranny and dictatorship" . It is a fact that Total has maintained permanent relations with the Islamic Republic, even at the time of the sanctions. After being lifted in July 2015, she was the first Western major to return, and planned to invest $ 1 billion in the South Pars gas field, one of the largest foreign investments. It had to give up after the US decision to break the deal on Iran's nuclear, but the French giant has kept a bad image in Israel. In signing the agreement with Tehran, Pouyanné did not hide that "this project is part of Total's strategy to strengthen its presence in the Middle East," which is "the historical cradle of the group". He obviously does not want to antagonize his partners (Iran, Iraq, United Arab Emirates, Qatar, Saudi Arabia ...) for a few billion cubic meters of Israeli gas. If it is difficult to boycott Israel, it is also risky to invest in it. In 2015, NGOs accused Orange of being complicit in the development of settlements in the West Bank: its CEO, Stéphane Richard, had to negotiate the end of the contract with the local partner. Alstom also had a difficult time with the west-east tramway in Jerusalem, accused by Palestinians of serving - and thus promoting - settlement settlements. As for financial groups like AXA, BNP Paribas, Societe Generale, Credit Agricole, they are under close surveillance for their links with Israeli partners involved in the development of these settlements - condemned by the international community.